Three people have been charged with drink-driving in 1066 country as part of the police Christmas crackdown. Aaron Pratt, of no fixed address, was arrested in Caves Road, St Leonards, on December 11. The 33-year-old builder was charged with failing to provide a specimen for analysis, driving without a licence, driving without insurance, failing to stop after a road traffic collision and resisting arrest. He is due to appear before Hastings Magistrates’ Court on January 13. Arlene Mhandu, of Guildford Road in Chertsey, Surrey, was arrested in Bohemia Road on December 12, and charged with failing to provide a specimen for analysis. The 31-year-old community worker is due to appear before Hastings Magistrates’ Court on December 30. Steve Morement, of Bexhill Road, St Leonards, was arrested in High Street, Battle, on December 13, and charged with having 71mg of alcohol per 100ml of breath in his system. 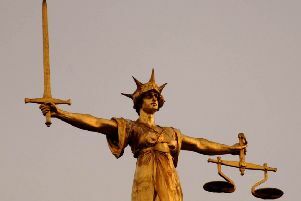 The 47-year-old carpenter is due to appear before Hastings Magistrates’ Court on December 30. More than 100 motorists have been arrested in Sussex since the Christmas 2015 crackdown on drink and drug-driving was launched on December 1. A total of 102 arrests have been made in the county as part of Operation Dragonfly, launched by Surrey and Sussex Police, up to the end of Wednesday (December 16). Of these, 50 have been charged. You can also contact the independent charity Crimestoppers anonymously on 0800 555 111 www.crimestoppers-uk.org.